Diana Zeff Anderson, chair of JEWISHcolorado’s board of directors, announced on Aug. 23 the appointment of Marsha F. Hurwitz as JEWISHcolorado’s interim president and CEO, effective immediately. She assumes the role held by Doug Seserman for the past 15 years. “Marsha is a highly respected, seasoned leader with nearly four decades of experience in the national federation system,” wrote Zeff Anderson in a statement. Hurwitz served as president and CEO of the Columbus Jewish Federation for more than 10 years, as well as executive director of the Jewish Community Federation in Richmond, Va.
More recently, Hurwitz was COO at the Jewish Community Federation and Endowment Fund in San Francisco. She currently manages a consultancy practice which provides a range of services focused on comprehensive strategic planning and resource development. Hurwitz holds a BS degree from the Medical College of Virginia and a MS degree from Virginia Commonwealth University. “We are excited to welcome Marsha to our community, and we trust that her vast experience will bode well for JEWISHcolorado as we transition to new leadership and new beginnings,” wrote Zeff Anderson. Hurwitz says, “I am honored to partner with JEWISHcolorado’s volunteer and professional leadership in writing the community’s future. “It’s a very exciting time in Jewish life, filled with many challenges waiting to be converted to opportunities. “I am hopeful that my passion and commitment to tikun olam — making our world a better place — will serve JEWISHcolorado well. Hurwitz will serve in an interim capacity while JEWISHcolorado completes its national search to identify a permanent successor, expected to take somewhere between six to 12 months, according to the statement. “We are pleased to have the active support of our partners at Jewish Federations of North America in this process, said Zeff Andersen. 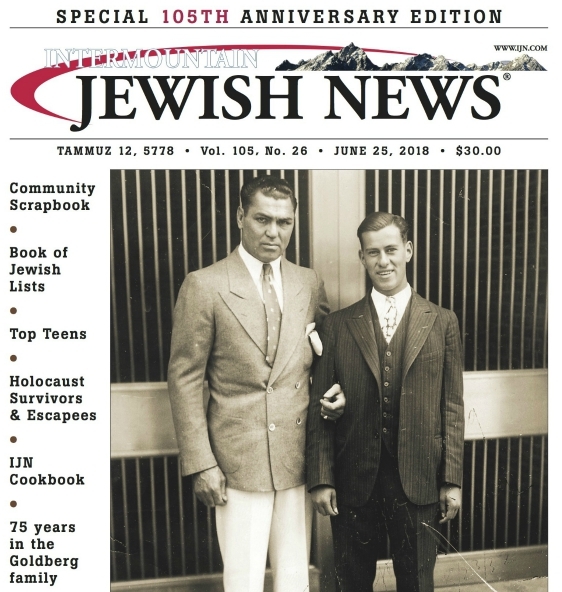 “I have the utmost confidence that together, we will continue to move JEWISHcolorado forward in a positive and productive manner,” said Zeff Anderson. Previous Post2 minutes, 22 seconds — witnessing a total solar eclipse Next PostWho is 'antifa'?